That’s why Kids In Danger (KID), a nonprofit organization focused on child product safety, started the Debby Sayah Grandparent Outreach Program. Debby was the happy grandmother of twins Andy and Jake. In 2001, Andy, just 2 months old, was killed by an infant sleep positioner. Marketed as an aid to help prevent sudden infant death syndrome (SIDS), the product actually poses a suffocation risk and should not be used. 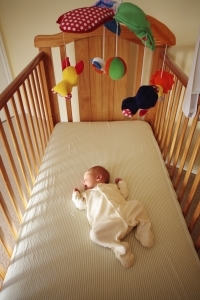 The crib is new or was manufactured before 2011, and has not been recalled. The sides are at least 26 inches above the mattress at its lowest position. The mattress is tight-fitting (two fingers cannot fit between the mattress and sides). You cannot fit a soda can between the crib slats. The crib has no corner post extensions or decorative cut-outs. All hardware is in place and tight, and none is protruding. Joints and parts fit tightly. The wood / metal is smooth and free of splinters / burrs. The finish (paint or stain / varnish) is lead-free and not cracked or peeling. Please visit Crib Product Hazards for more information. 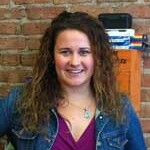 Laura Nikolovska came to Kids in Danger in September 2012, after five years in the education sector, as a teacher and as an education advisor in the Peace Corps.